After the Polar Satellite Launch Vehicle (PSLV) has established itself as a dependable workhorse, the Indian Space Research Organisation (Isro) is paying special attention to its next generation rocket — the Geosynchronous Satellite Launch Vehicle (GSLV) Mark-III which is capable of launching 4,000-kg satellites into space. 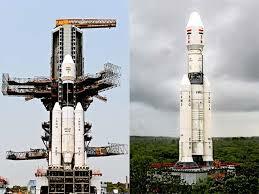 The GSLV version of the rocket was used to launch 2,000-kg satellites. The three-stag GSLV Mk-III adopts the flight-proven solid and liquid stages of the PSLV and a cryogenic upper stage.GSLV was developed to enable India to launch its heavier satellites without dependence on foreign rockets. If successful, the new rocket can project the country as a competitive player in the multi-million dollar commercial launch market.Isro scientists are optimistic over the success of the Mk-III mission in the backdrop of a series of tests carried out before going ahead with the launch arrangements.The cryogenic stage, designated as C25, was tested for a flight duration of 640 seconds at the propulsion complex at Mahendragiri in Tirunelveli district of Tamil Nadu in February.The rocket will be carrying the GSAT-19 to space. It is likely to be launched in the next two months. The satellite is planned to carry Ka and Ku band payload along with a Geostationary Radiation Spectrometer (GRASP) payload to monitor and study the nature of the charged particles and influence of space radiation on spacecraft and electronic components.Isro working on three missions at same time For the first time, all the infrastructure at India’s spaceport — the Satish Dhawan Space Centre — is being put to use. Work related to the launch of rockets is progressing at a brisk pace.While integration of PSLV-C38 and GSLV-F09 are in progress at the buildings attached to first and second launch pads, work related to GSLV-MK 111 is going on at the solid stage assembly building. Isro officials said MK III would be shifted soon after the launch of GSLV-F09.The engineers of Isro said it is the first time that work of three launch missions is going on in full stream. 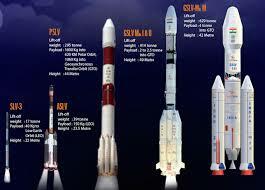 The launch of the GSLV-F09 carrying the GSAT-9 satellite is planned probably on May 5. The PSLV-C3 will launch the Cartosat-2D and some foreign satellites on May 25. The bigger GSLV Mk III will carry the 4,000-kg GSAT-19 to space in June.